Joining a sorority is a big commitment. So what makes it truly worth it?  The Panhellenic chapters here at Florida State University strive to empower our women to utilize their true potential. Our sisterhoods go far beyond the letters on our chest—they connect us for a lifetime. Our success in scholarship has continually put us above the all-campus FSU GPA. Throughout the past year, our philanthropies have raised over one million dollars. Our leadership has helped shape Florida State as the women of our community hold hundreds of positions across campus. You are the future leaders of this university. Take this opportunity to join us. Stand with us. Keep a look out for more information coming soon! From meal plans to finances, we’ve got your parental questions and concerns covered. Below the surface there is pure strength, natural beauty, and a drive to do real good in the world. We believe in the power of women challenging and supporting each other through self-discovery in college, and throughout a lifetime of actualizing the potential that lies just below the surface of each of us.